Curious about FLOW-3D? Want to learn about how we go about modeling the most challenging free surface hydraulic applications? Our workshops are designed to deliver focused, hands-on, yet wide-ranging instruction that will leave you with a thorough understanding of how FLOW-3D is used in key water infrastructure industries. In the morning, you will explore using hands-on examples, the hydraulics of typical dam and weir cases, municipal conveyance and wastewater problems, and river and environmental applications. In the afternoon, you will be introduced to more sophisticated physics models, including air entrainment, sediment and scour, thermal plumes and density flows and particle dynamics. By the end of the day, you will have set up six models, absorbed the user interface and steps that are common to three classes of hydraulic problems, and used the advanced post-processing tool FlowSight to analyze the results of your simulations. This one-day class is comprehensive yet accessible for engineers new to CFD methods. All workshop registrants* will receive a 30-day license of FLOW-3D. Cancellation policy: For a full refund of the registration fee, attendees must cancel their registration by 5:00 pm MST one week prior to the date of the workshop. After that date, no refunds will be given. *Workshop licenses only available to prospective or lapsed customers. If you would like to host a workshop, we are happy to travel to your location. You provide a conference room for up to 15 attendees, a projector and Wi-Fi. Flow Science provides the training, workshop materials, lunch and licenses. As host, you also receive three workshop seats free of charge, which you can offer to your own engineers, to consultants, or to partnering companies. 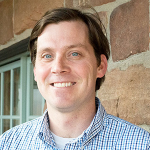 Brian Fox is a senior applications engineer with Flow Science who specializes in water and environmental modeling. Brian received an MS in Civil Engineering from Colorado State University with a focus on river hydraulics and sedimentation. He has over 10 years of combined experience working within private, public and academic sectors in water and environmental engineering applications. His experience includes using 1D, 2D and 3D hydraulic models for projects including fish passage, river restoration, bridge scour analysis, sediment transport modeling and analysis of hydraulic structures. 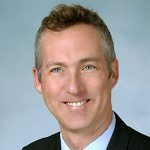 John Wendelbo, Director of Sales, focuses on modeling challenging water and environmental problems. John graduated from Imperial College with an MEng in Aeronautics, and from Southampton University with an MSc in Maritime Engineering Science. John joined Flow Science in 2013. Our workshops provide attendees with a valuable opportunity to learn about FLOW-3D and its powerful multiphysics modeling capabilities. These workshops are designed to cover the fundamentals of specific modeling simulations, provide hands-on learning, and allow attendees to test drive the software by building a model from scratch. Additionally, each participant receives a free 30-day license and access to tutorial videos and practice examples. 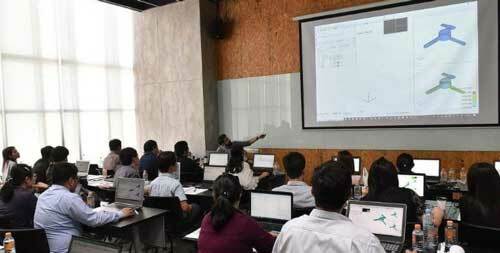 A very successful FLOW-3D workshop for water and environmental applications in Bangkok, organized by our Thai partner DTA and hosted generously by King Mongkut's University of Technology Thonburi (KMUTT). Special thanks to Prof. Chaiyuth Chinnarasri. You’ve completed the one-day workshop, now what? We recognize all will not be absorbed in one day, and you may want to use FLOW-3D on one of your own problems or compare CFD results with prior measurements in the field or in the lab. After the workshop, your license will be extended for another month to use on your workstation. During this time you will have access to our technical staff in order to help you work through your specifics: we are here to help you at every step. How to import geometry and set up free surface hydraulic models, including meshing and initial and boundary conditions. How to add complexity by including sediment transport and scour, particles, scalars and turbulence. How to use sophisticated visualization tools such as FlowSight to effectively analyze and convey simulation results. Advanced topics, including air entrainment and bulking phenomena, shallow water and hybrid 3D/shallow water modeling, and chemistry.